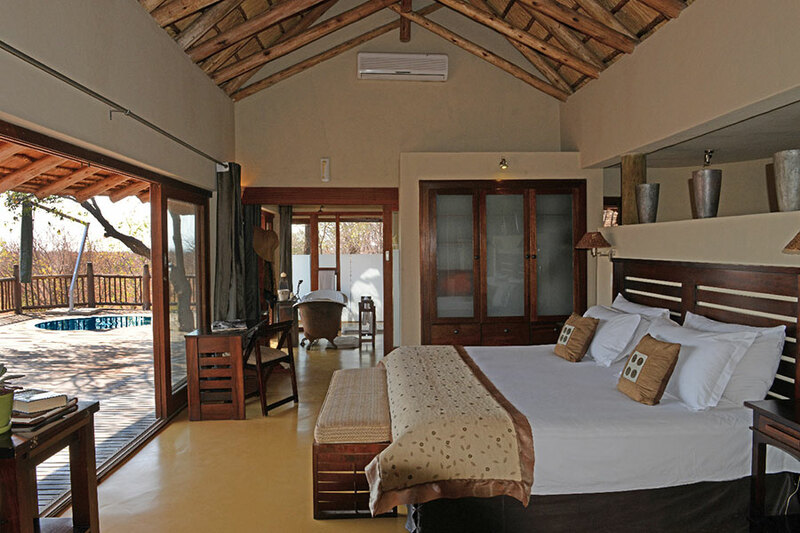 Etali Safari Lodge has earned a reputation for providing an exceptional experience. It’s the outstanding quality, which repeat guests have come to count on, that makes this place extraordinary. You are invited to enjoy the finest South African hospitality, while getting closer to the “Big Five” in a family-friendly, malaria-free environment. 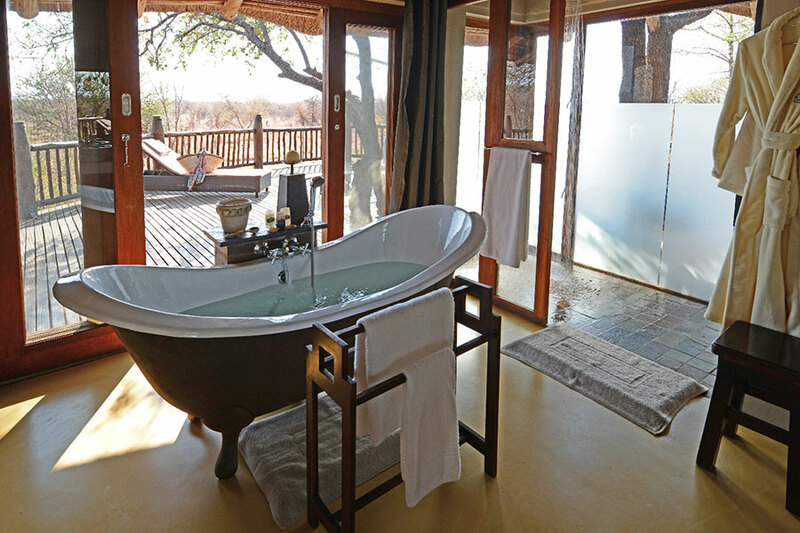 Separate from the main lodge, you will find eight sumptuous suites, each with a private viewing deck and an en-suite bathroom. Relax into supremely comfortable king beds and luxurious amenities. 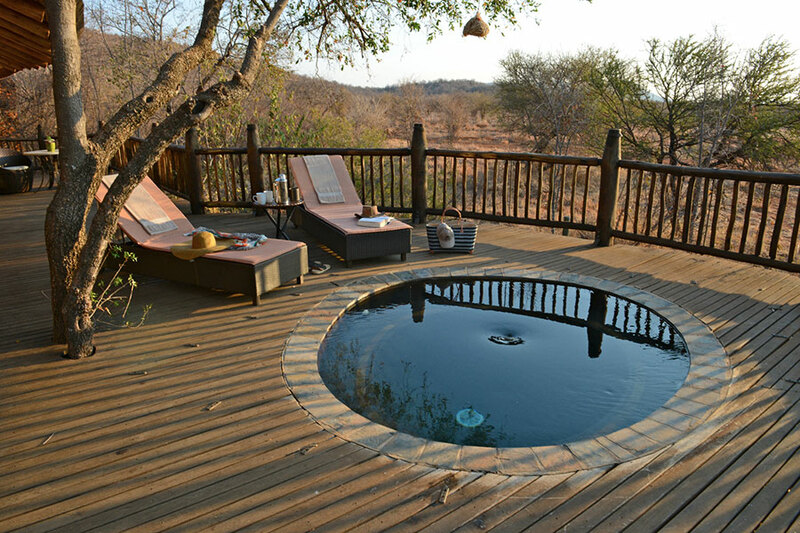 Three suites have direct views of the watering hole, which is popular with local wildlife. 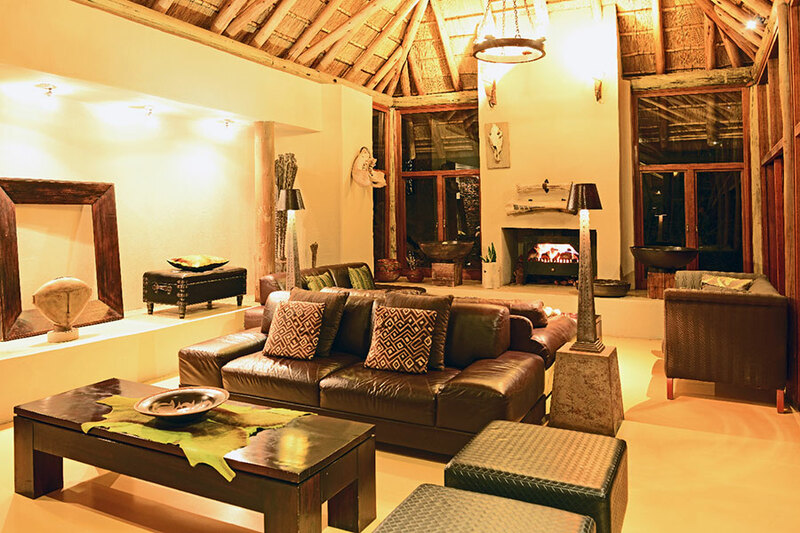 Two back-to-back suites allow families to stay in close contact and share the excitement in the bush. These rooms offer all of the above, except the whirlpool is replaced by a large swimming pool on a shared deck, and showers are indoors. Another unique feature is the private lapa. The Main Lodge features a reception area, dining room, large deck and lounge. The Wellness Centre features a spa, as well as a gym – offering ways to recharge whether you opt for a morning jog or an afternoon massage. Guests rave about Etali’s signature Thlakanya treatment. Option to indulge in any spa service in the privacy of your suite. The Boma is famous for its cozy fireside, where guests are often entertained or simply found recounting the day’s discoveries over a glass of wine. 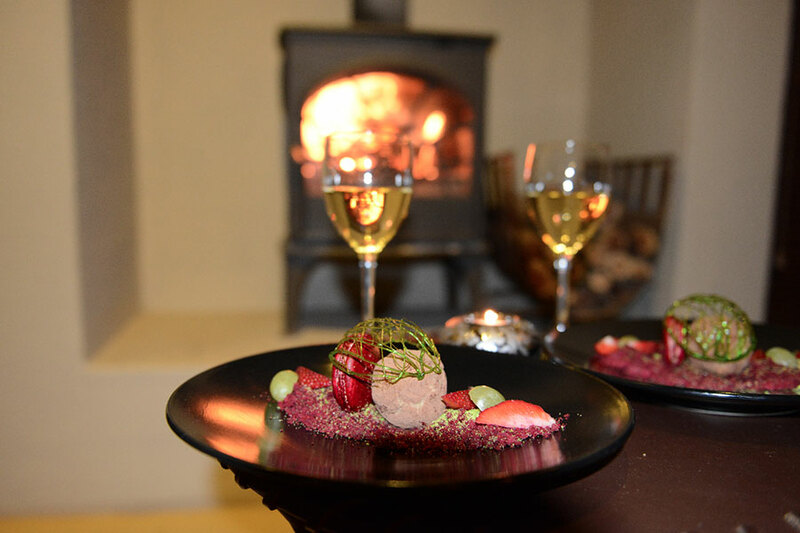 Etali has been named among the 100 best restaurants in South Africa for its reinvention of gourmet dining in the bush. The cuisine is a contemporary fusion of traditional African with an Asian twist. Expect both gourmet favourites and delectable local dishes to be expertly prepared by the head chef, who is only happy to accommodate all dietary requirements and restrictions, including kosher and halaal. 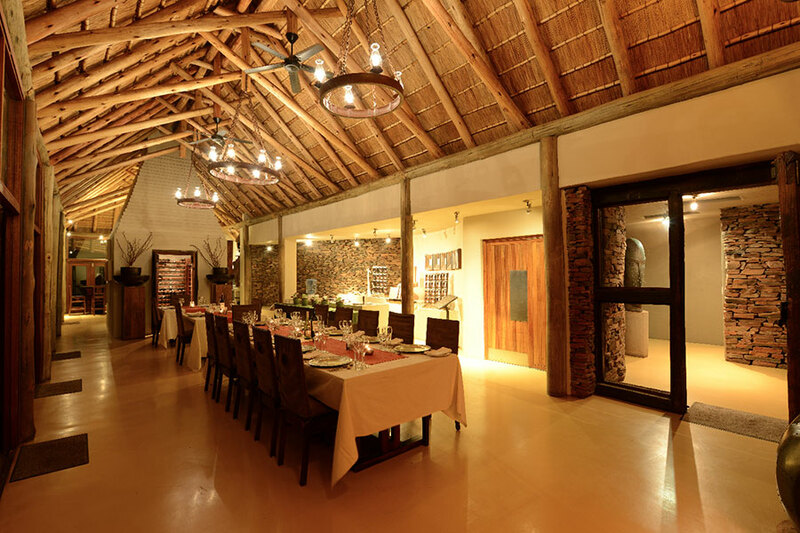 Fine dining as well as traditional meals in the lesaka (traditional Tswana kraal located next to the watering hole) are all yours for the tasting. Take the gastronomic adventures further with a bush breakfast, dinner or picnic. 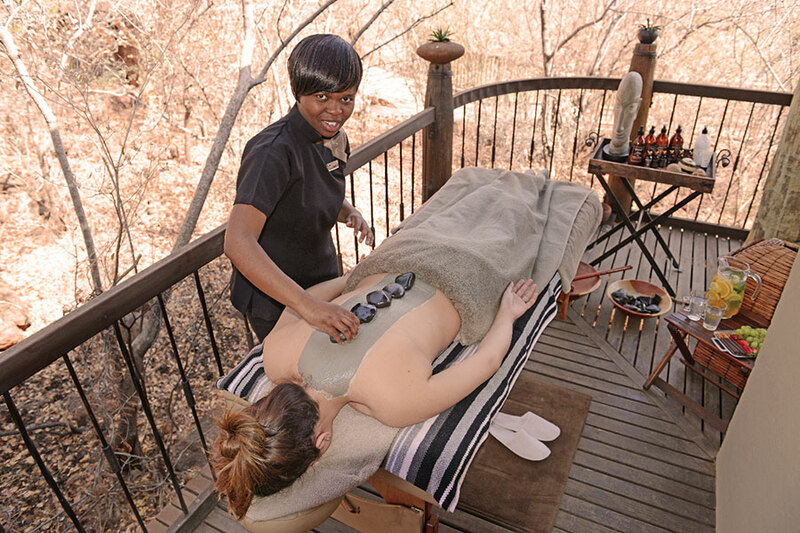 Whether on safari with an expert game ranger, dining on delicious cuisine or having a rejuvenating spa treatment, you will be pampered, cared for and catered to by the professional, friendly and courteous staff. 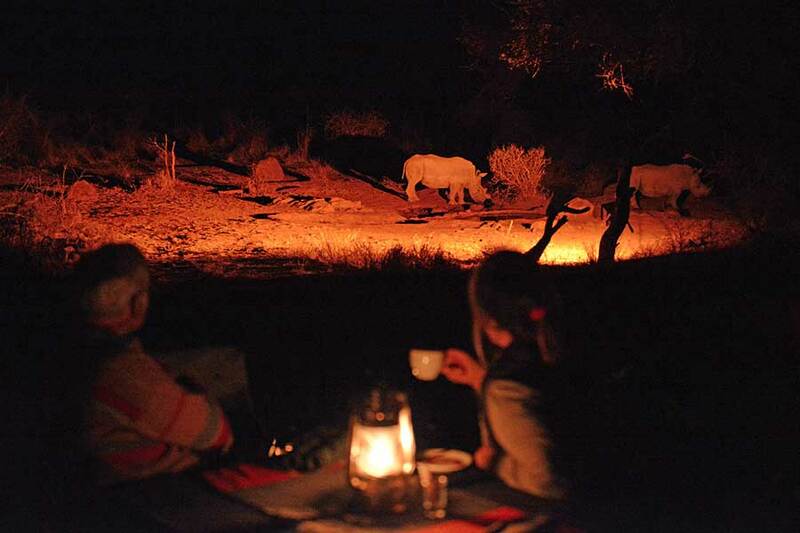 Guests are offered multiple contact points with Etali’s natural surroundings, including the watering hole where leopards, elephants, rhinos, lions, buffalo stop by frequently. Armchair safari, anyone? Etali also offers a range of extras that include an active kids program, wedding planning, as well as conference facilities.